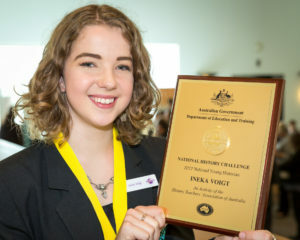 Congratulations to Ineka Voight who is the 2017 Australian Young Historian. 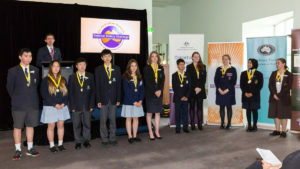 The award was announced at the National History Challenge ceremony on 27 November, 2017, at Parliament House. The national winners for all categories were also announced. A full list of winners can be found on the NHC website. Congratulations to all the winners at both the state/territory and national level.